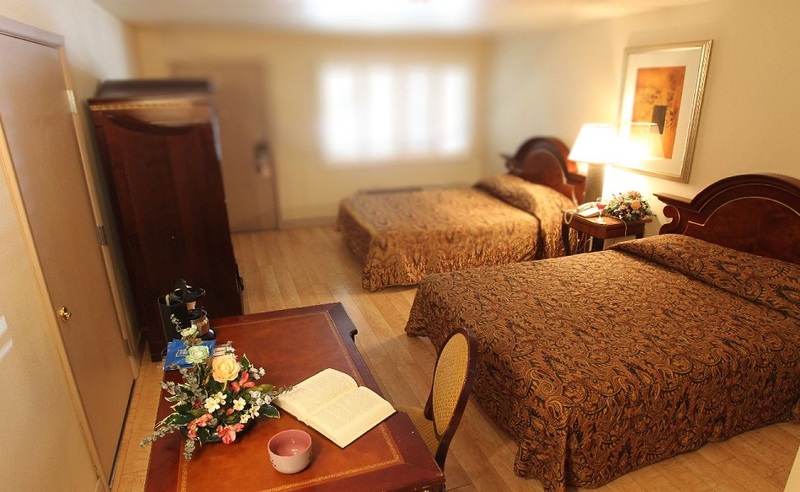 These rooms provide added comfort with an in room microwave, fridge, and kitchenette area. 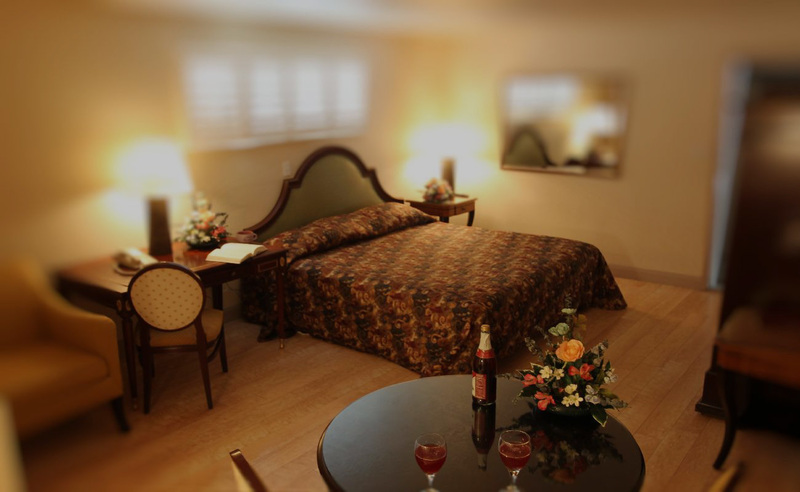 The king size bed and desk area is spacious and functional. These rooms can adjoin a double queen room enhancing the space by providing an additional bath as well as increasing the living area and sleeping arrangements. This hotel is really nice and very clean. Wood floors throughout the room and a nice comfy bed. The price was a pleasant surprise as well. You can get $2.00 all you can eat pancakes for breakfast at the restaurant that is connected if you stay there. The Chai Latte Tea is awesome too. Beautiful pool (open 24hours) and exercise room. Very friendly staff. Smoking room available and that is part of our criteria. Room was very comfortable and restaurant had the best breakfast with 15% off with the room. Only problem is if you request extra no one can bring it to you. Although they have staff at front dest 24-7. I stayed here on the recommendation of one of the locals, after unexpectedly having to stop for the night. Given the location, it was a pleasant surprise. Clean and decently furnished room, very friendly staff at the attached restaurant and bar, 24 hour pool and exercise area, free airport shuttle. It's nothing fancy, but it's a lot nicer than what I expected to find for the price and location. I'm giving this motel a 4 star rating based on it being a budget motel. In comparison to some higher end hotels, I obviously would not rate it as high. But at the price we paid, it was a good value. Clean rooms and solid customer service. 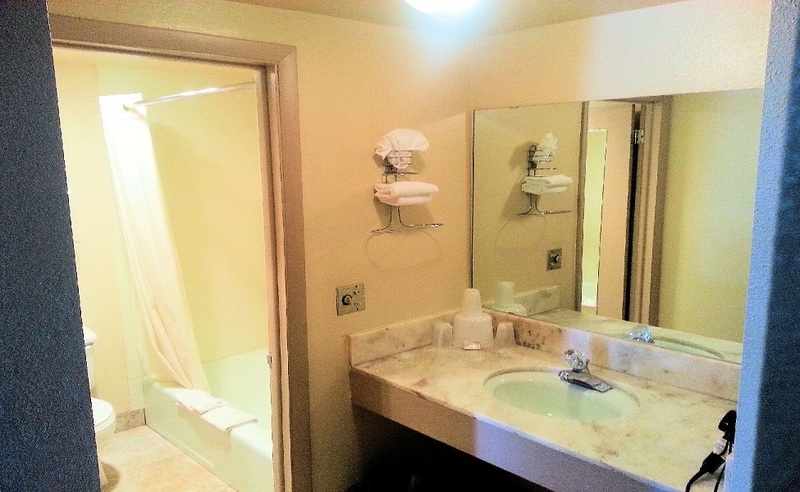 Great value and good price, large rooms with wood floors and nice bathroom and comfortable beds and pillows. Motel has a nice large indoor pool that is open 24 hours. There is a restaurant on site even though it does not open till 7:00 AM. From the moment I walked in the service was warm & friendly! The lady at the front desk was very helpful in answering questions. The room was clean & comfortable. The pool was very nice as was the fitness center. Ricardo's Restaurant next door was a great value & very good food!! Great & friendly service too!